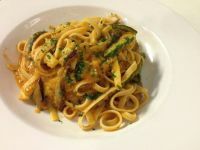 Spasso Cucina Italiana is located just steps from the Pierpont Beach at the end of Seaward Avenue. Owned by a true Italian born and raised in Rome, the experience here is truly authentic. Specializing in handmade pastas like lasagna, pappardelle and ravioli, fresh made Napolitano style pizza and house made focaccia; everything is made from scratch using fresh ingredients just like Mamma does in Italy. Spasso also has a good selection of Italian wines, espresso drinks and house made desserts. With Sunset views and a spacious patio come try the best of Italy in Ventura!